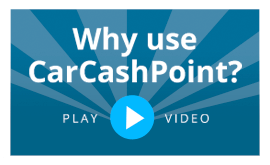 Car Cash Point has established itself as an ethical and responsible lender in the UK specialising in Logbook Loans online against vehicles. We are consistently providing proven and preferable solutions for people looking to raise short-term finance quickly with no credit checks. The company is committed to the highest levels of professional care, with the maintenance of its reputation and integrity being paramount and to date have helped many customers with a short-term loan. As a lender, Car Cash Point is regulated by the terms of the Consumer Credit Licence and are fully accredited member of the Consumer Credit Trade Association and therefore fully comply with its 'Code of Practice' to provide ethical lending within the terms of the Consumer Credit Act. Our business and culture are premised on the principles of 'Treating all customers fairly'. Car Cash Point logbook loans are transparent, honest and fair. During the past few years, there has been a dramatic increase in the number of people facing financial difficulty. Regrettably, there has also been a growth in the number of small, opportunist and often unethical Logbook and Payday Loan companies. Such companies may offer a quick loan often using extortionate interest rates, high fees and unscrupulous tactics for dealing with late repayments. Car Cash Point says NO to this kind of business practice and believes reputation and fairness are crucial in providing an online loan to meet our customer's needs.